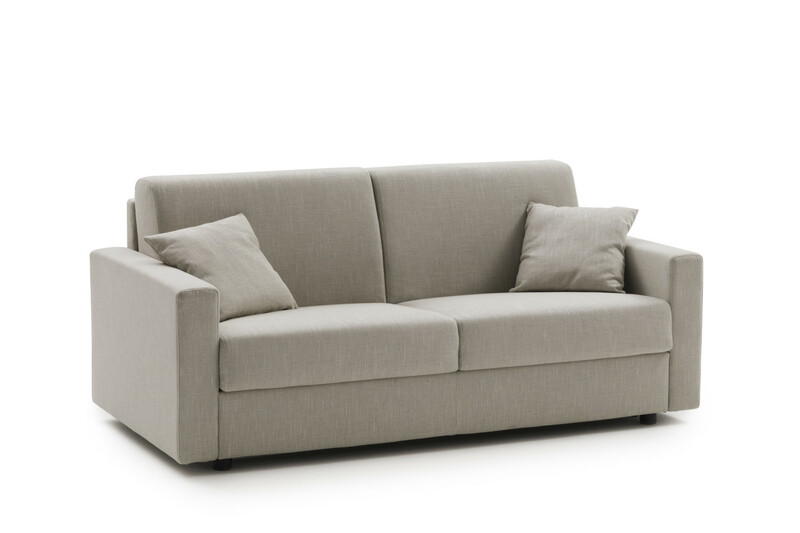 Lampo Motion is an Italian sofa bed with motorised opening system available in linear models. Lampolet mechanism with remote control. Cm 200 h.14 mattress. 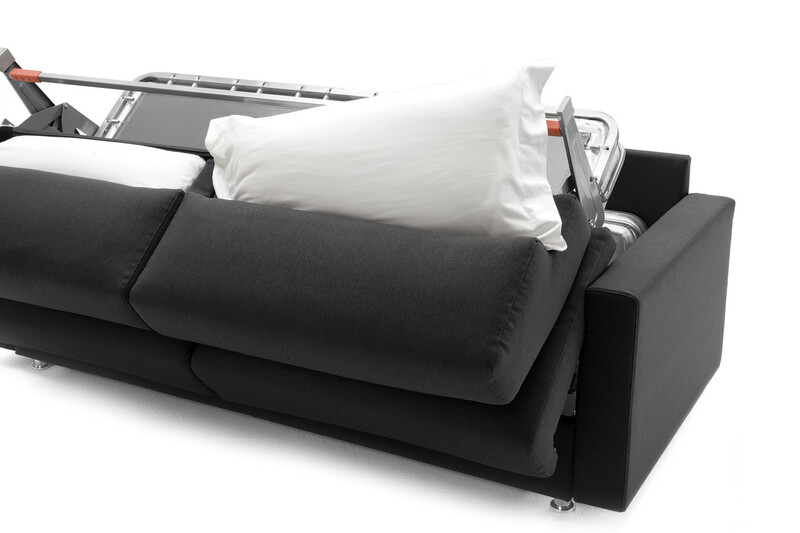 Lampo Motion is a sofa bed with motorised opening system available in single, XL single, or double models. 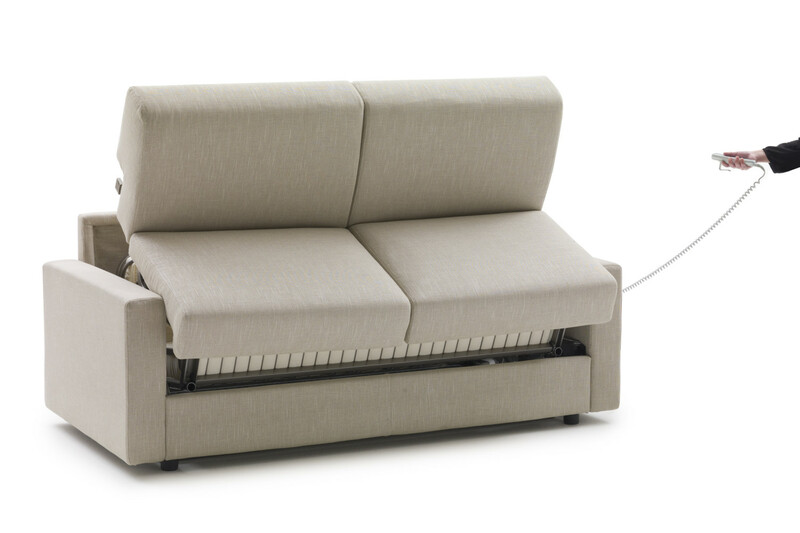 The motorised Lampolet opening system is activated with a remote control and does not require to remove the cushions. 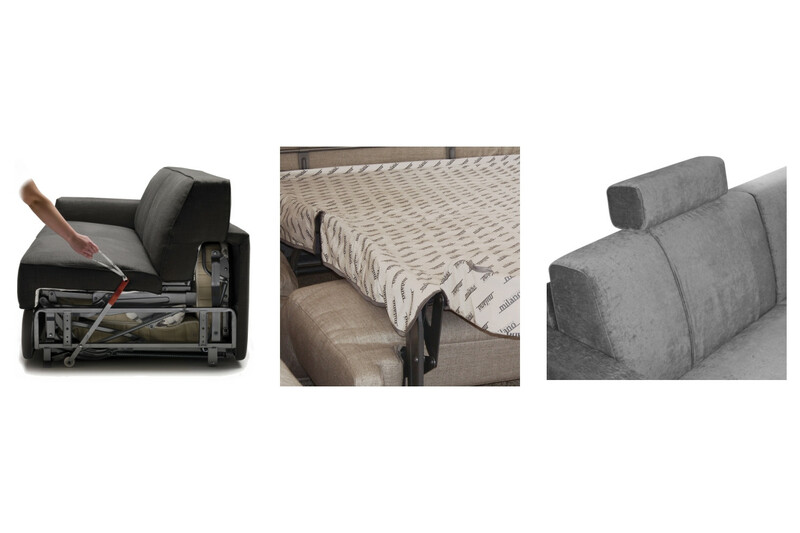 Without any effort, the sofa bed can be transformed in a bed with a cm 200 long and cm 14 high mattress in a few seconds. 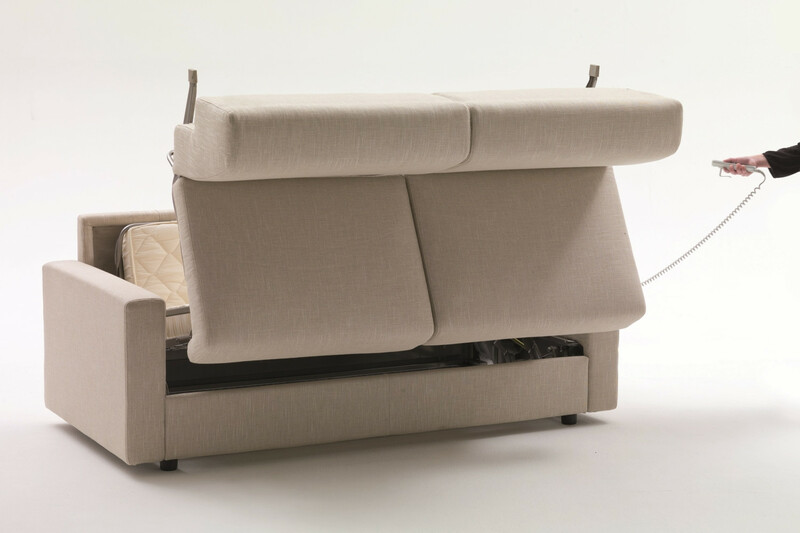 Thanks to the motorised opening system, Lampo Motion is the ideal sofa bed for those who need to use it on a daily basis, or to provide guests of any age with the best comfort and functionality. 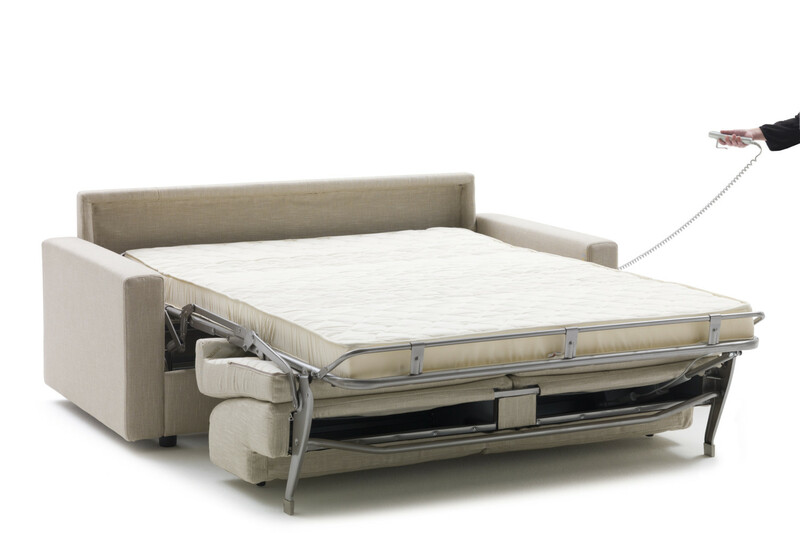 Designed for homes and contract environments, this electric sofa bed offers a great choice of mattresses: with springs, pocket springs, viscoelastic foams and resilient polyurethane foam, suitable to meet completely different needs. 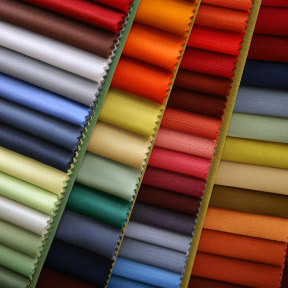 Lampo Motion is available in fabric, eco-leather and leather, in several colours displayed in the samples page. The sofa bed cover is completely removable. Frame: backrest in high resistance furniture tube, oven coated with epoxy powders. Armrests in fir wood, poplar plywood and particle wood. Non-bearing front panel in particle wood. Headboard in particle wood, fir plywood and solid fir wood. Armrests: 40 + 30 kg/m 3 expanded polyurethane, interliner combined with mm. 10 expanded polyurethane. Do not seat on the armrests.